A stalwart of Liberia’s ruling Unity Party has called upon President Ellen Johnson Sirleaf to support the senatorial quest of Mike G. Mueller in the ensuing Special Senatorial Election in repayment for supporting her two-term electoral bids. At a news conference last month in Monrovia, James M. Rogers indicated that Mueller remains a strong supporter of President Sirleaf and has provided meaningful assistances on several occasions to the electoral struggle of the ruling Unity Party. As such, “the President should be able to reciprocate the good Mr. Mueller has done for the party and the President,” said Rogers, who contested for a Nimba County legislative seat on the party’s ticket in the 2011 elections. 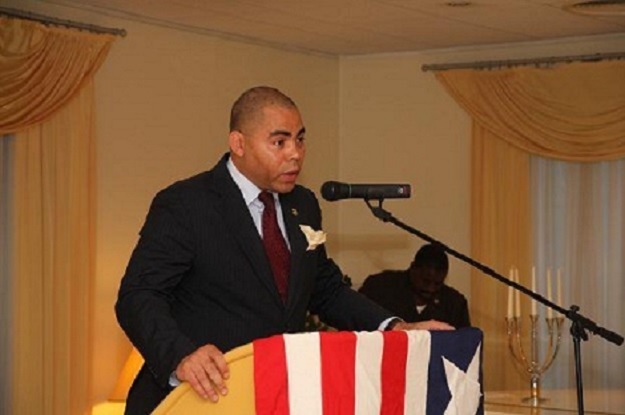 Mueller, a Liberian of part-Swiss descent, humanitarian and founder of Mike Mueller Charities, has declared his intention to contest Sinoe County’s vacant senatorial seat come October. According to Unity Party’s by-laws, however, one must be a member of the party two years before standing for an elected position in the primary. Mueller has no party at the moment and wants the Unity Party to refrain from putting up a candidate in Sinoe County for the upcoming election. “In the previous exercise of democracy in 2011’s Presidential and Legislative elections, he offered and rendered his support to the election of Madam Sirleaf, with respect to her ability to secure international support for stability and reconstruction. His service to his nation and people is remarkable and deserving of the support of every Liberian. It is in this vein that I commend my fellow guests here today, for their bold choice to similarly support the candidacy of Mr. Mueller,” Rogers said.